Have you missed the SwayLand Hunts? Well, I did! Just hop over to SwayLand, touch the sign by the Scarecrow (near the landing point). It will give you a HUD and an information Notecard. Wear the HUD and start hunting for Autumn Leaves. 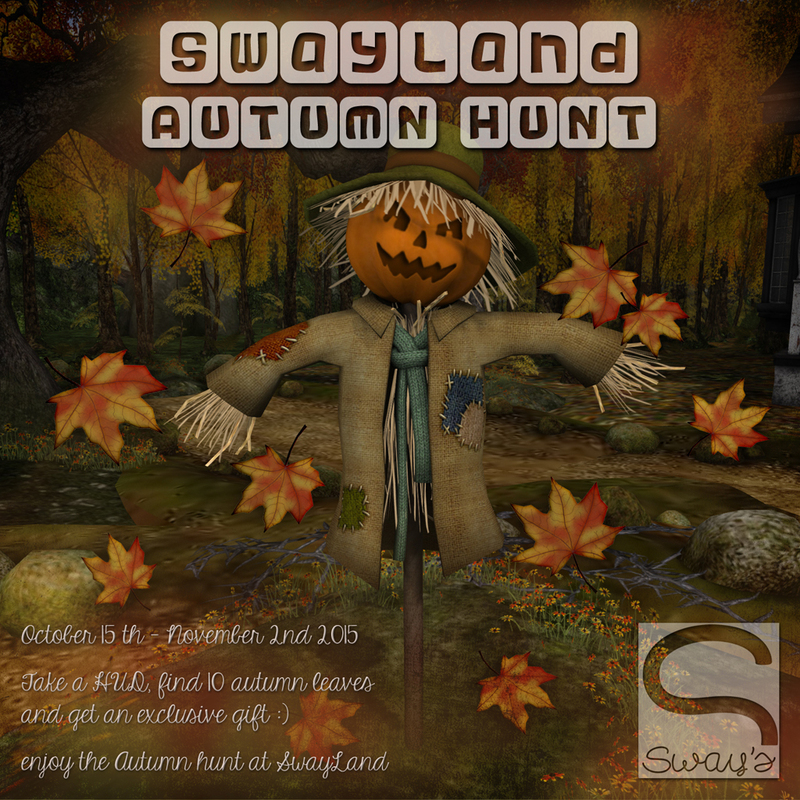 Once you found them all and all leaves on your HUD are colorful you get your exclusive SwayLand Autumn Hunt Gift! PS: I used to make 4 hunts a year, let me know if you would like to have them back. Do you still enjoy the hunts at SwayLand? I would love to hear your feedback. As a comment here on my blog, IM in world or a message on Plurk. Whatever you prefer. Hello sway, thanks a lot for the beautiful scarecrow, we liked it so much we rezzed it at the entrance of our store and it looks fantastic. Keep up the great work and those wonderful hunts you kindly offer to the sl community. Big Hugs from LNL.